Recently, the School of Public and Environmental Affairs (SPEA) held their first ever Career Expo at the DeVault Alumni Center on September 27th, 2012. 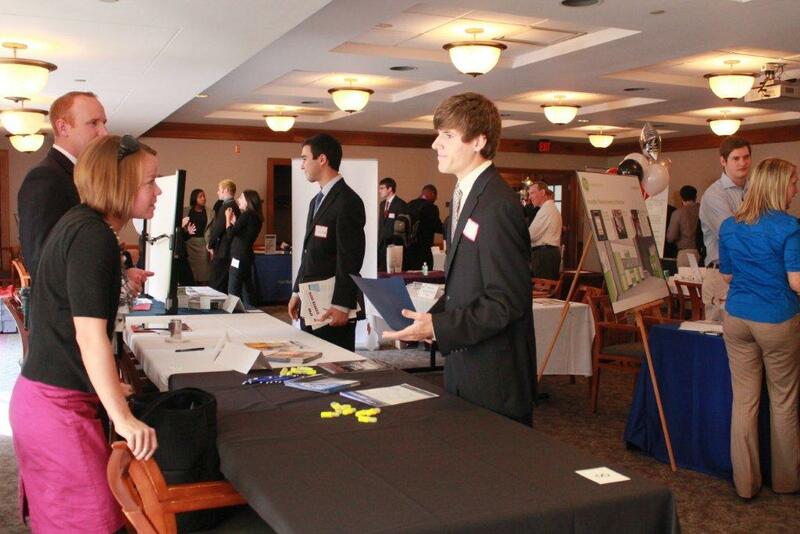 This Expo, specifically for SPEA students, drew nearly 40 prospective employers to the Bloomington campus. Hundreds of students took time out of their busy schedules to network and search for internships and full time jobs. The turnout was even better than expected because of the diligent advertising that the SPEA Career Development Office and its Student Partners did around campus during the weeks before the event. The friendliness exhibited between students and employer representatives made the Career Expo a welcoming environment. The chance to network with professionals certainly helped students to improve their communication and interpersonal skills. I am happy that I went to the Career Expo because I found a few internship opportunities that I can apply for soon. Hopefully I’ll get accepted for one in spring semester or next summer. I could tell a lot of preparation went into organizing and staffing the Expo and want to congratulate all the individuals who played a part in making this event happen. All students should go to these career events as they provide excellent opportunities for professional career development and networking. Kevin King is a SPEA sophomore majoring in Management with a minor in Political Science. He is a member of the Career Development Office’s Student Partner Network and is also very involved with many IU student organizations and activities (Teeter Quad Student Government, Student Alumni Association, First Year Experience, Union Board, IU Dance Marathon). Kevin contributes to the WeAreIU student blog and has written about his observations of the recent SPEA Career Expo for the CDO. Thanks Kevin! SPEA CDO Orientation for Grad Students.